As one of the world’s most international banks, one of the key differentiators of the Standard Chartered Bank International Graduate Programme is the opportunities offered across SCBs footprint of Asia, Africa and the Middle East. The International Graduate Programme is ~18 months long, including 4 weeks of induction, 11 months of training rotations and 6 months of business rotations. Internships are 10 weeks long. For the Graduate roles, you must have an undergraduate degree and be eligible to work permanently in the country that you are applying to. If you’re applying for a role in the UAE, we may consider applications from nationals of Middle East and North African countries. For the Internships, you must be in your second to last year of study to apply. We will accept applications from final year students who are required to complete mandatory National or Military Service after graduation. To apply for an Internship position, you must have the legal right to work in the country for which you’re applying for the full duration of the internship (student visas or holiday work passes are allowed, provided they are valid for the duration of the internship). We are unable to apply for work permits for any Internship. As English is the business language of Standard Chartered across the world, you need to be able to speak business-level English. Being able to speak more than one language would be an advantage. What will my International Graduate Programme look like? Why SCB is your preferred choice. What makes us different? This is a personality test that helps both you and us assess whether you’re a good fit for the role. There are no right or wrong answers to these questions, just be yourself and answer truthfully. The aptitude tests help us match your ability to the right role. The tests will get progressively more challenging based on your answers and should only take 12-15 minutes. The first time we meet you will be via an online video interview. We’ll talk about your application and your strengths. 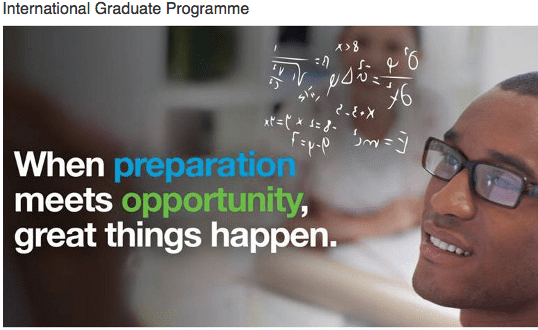 The first time we meet in person will be with the graduate team at your local Standard Chartered offices. When you’re through to the final stage, you’ll interview with the people you’ll be working with. They’ll already be working in the stream you applied for. David Timis from Romania is OD Young Person of the Month for September 2018!